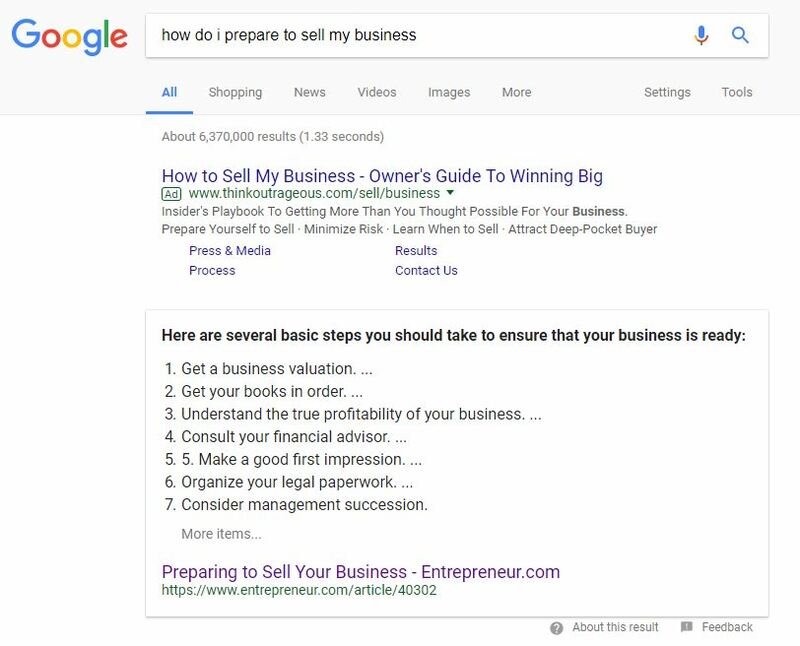 Why You Should Stop "Preparing Your Business For Sale"
Let’s start with a tour through some Google searches. Note the tips given and steps advised in both of the search results. As you can see in the pictures, the majority of the resources online will give you steps to take in relation to your business’ finances, operations or employees. These are important to do but they miss one key aspect of the process. 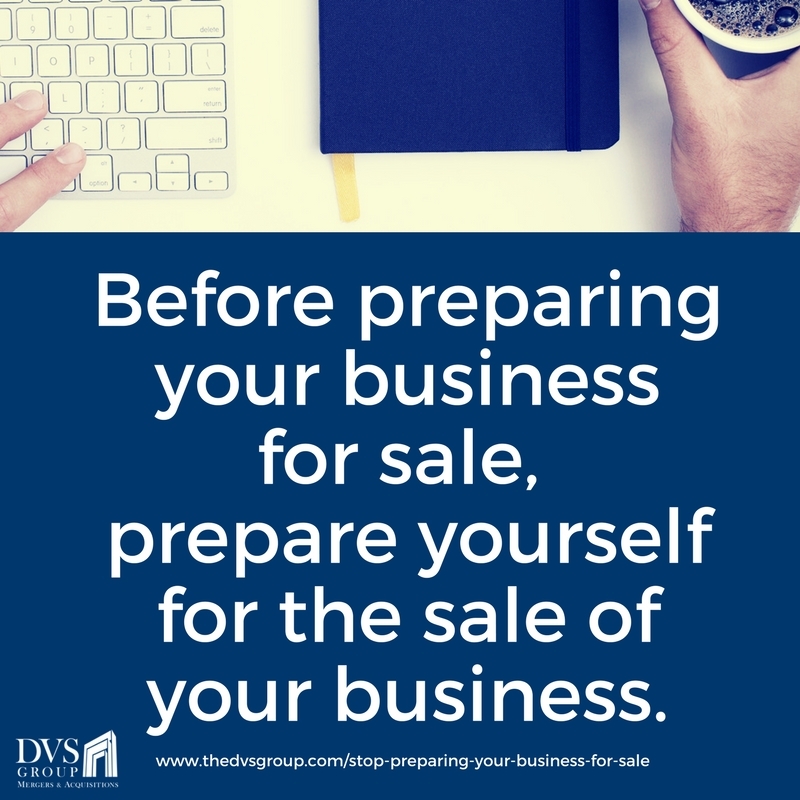 prepare yourself for the sale of your business. They both focus on a business’ sale. But, the first starts with the state of the business. While, the second starts with the state of the business owner. In all honesty, these two statements might lead you to take the same exact actions. But, the emotional motivation behind those actions will be significantly different in following one statement versus the other. Preparing yourself for the sale of your business will allow you to take the necessary emotional steps away from your business. You’ve worked really hard to get your business where it is – letting your baby go is challenging. If you don’t take time to prepare yourself for the sale of your business, you may find yourself pulling the plug in the final moments of a deal because you forgot to think about what you’ll do instead of going into the office the next day. lead into preparing your business for sale. “I have found it is helpful to correctly frame my perspective on the business I own. I view it like I view my house. After I owned my first house, my perspective of what I wanted in my next house was very different. The same is true after selling my first business and now owning a second. “Whenever you’re in the middle of a big decision or process, constantly remind yourself why you’re doing what you’re doing. Especially, when it starts to go off track. Because the deal dies more often on emotions than on numbers. Money matters but it’s not the only thing that matters. 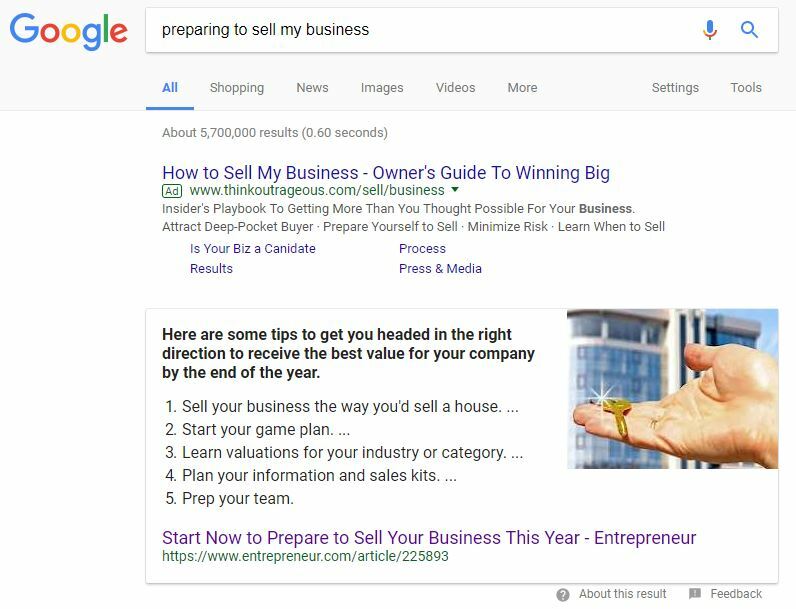 Be willing to do the hard work of preparing yourself for the sale of your business now – that will make preparing your business for sale that much easier. 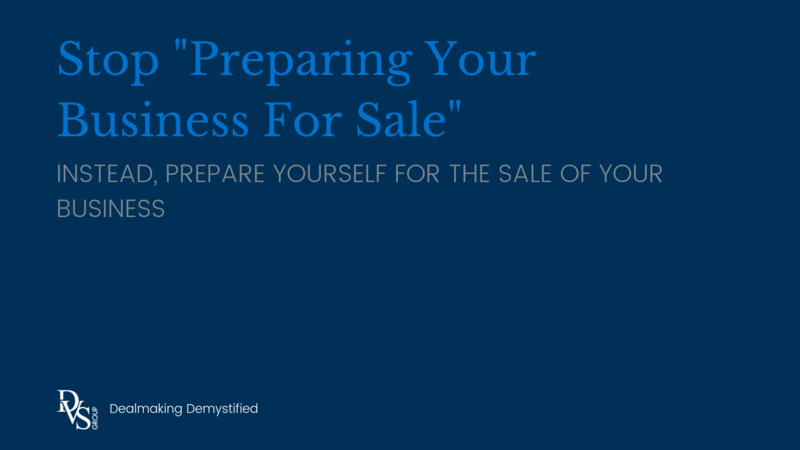 Unsure how to prepare yourself for the sale of your business? Give us a call or shoot us an email. We are happy to have a complementary and confidential conversation about your business and the deal you’d like to get done.